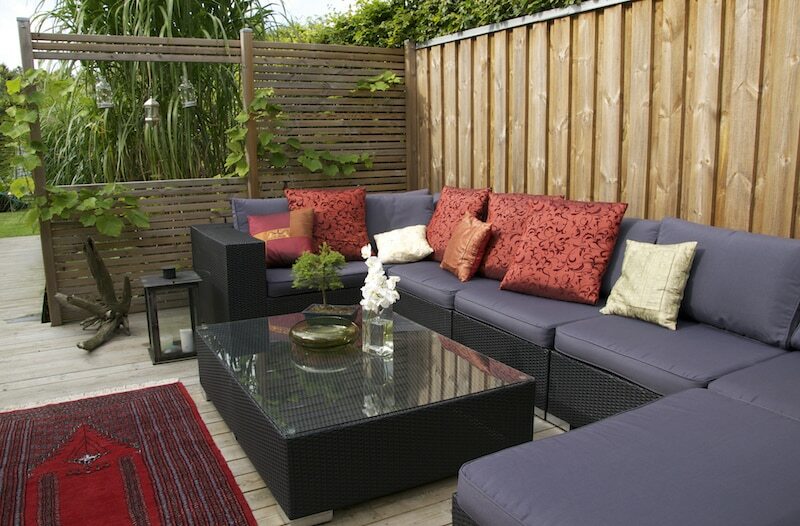 Add style and class to your garden instantly with the installation of modern garden screens to your outdoor area. Perfect for enhancing the privacy of your garden, this decorative screening also provides a spectacular feature and a trendy façade which makes entertaining a pleasure in every season year-round. Everlast not only provides expert guidance for to help you select a garden screen to suit your project – we also manufacture our own products here at our factory in Hoppers Crossing. Our screens are all laser-cut in stainless and reinforced Australian quality steel and can be customised to your requirements. A wide range of stunning colours and varieties are available. Bring a splash of the Mediterranean, add a Moroccan flavour to your yard, or set off your pool against a spectacular forest stencil. Everlast garden screening are designed to impress, and we know you’ll be blown away by some of the finishes we have for you to choose from. If you’re looking to add that ‘wow’ factor to your outdoor project for an affordable price, talk to Everlast today. Our professional landscapers have 20 years of experience helping customers turn their outdoor areas into works of art. For the best garden screens range, workmanship and service, Everlast Services is your number one choice in Melbourne. We stand by our products 100% because they’re manufactured here in Hoppers Crossing. We only use heavy-duty, durable Australian steel to ensure your garden screens look great in your yard for longer. Everlast are a proudly family owned and operated business. Our landscapers been servicing Melbourne’s Western Suburbs for over 20 years, and our brand has built a reputation for excellence in the area for over 30. Qualified tradesmen and expert staff ensure you’re getting the best customer service and support from start to finish. From the minute we greet you on the phone, your project is in safe hands. Planning a big project? Everlast are the local professionals in concreting, fencing, landscaping, decking and more. We can help you plan and build the outdoor area you’ve been dreaming of.